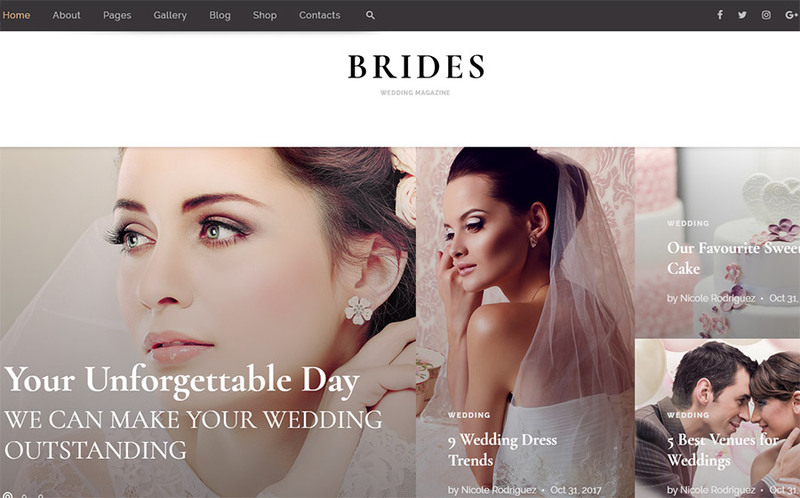 Why Choosing a Wedding Website Template Is Beneficial For Your Business? 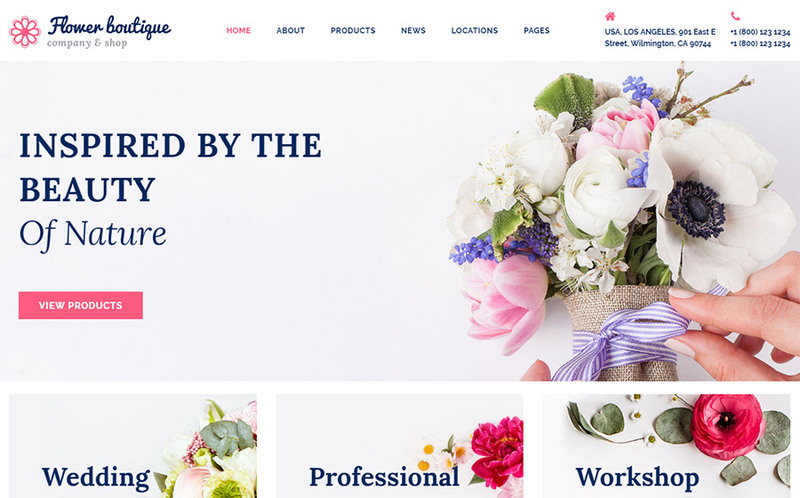 Why Choosing a Wedding WordPress Theme Is Beneficial For Your Business? Great news. You can choose the template that fits your business the most right now. 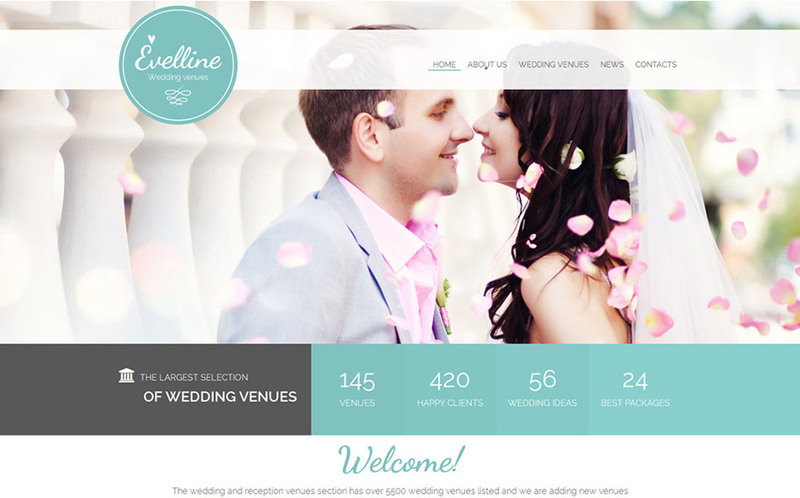 Below you’ll find 10 lovable Wedding Website Templates, created by skilled web developers. This means you can create a professional website that will demonstrate your products and impress your customers. Why is it beneficial for you to create a website on the basis of the ready-made template? The templates are fully customizable, so you can build a unique website and tailor it to your personal requirements. The templates are modern and trendy. They are able to help you showcase your products and convey your creative ideas and messages to brides and grooms to be. You will also have access to a range of widgets and modules via your personal CMS Panel. You’ll get cool features like cross-browser compatibility and beautiful galleries. Not to mention, the functionality will let you craft your site to meet your business needs and show your products the best way. By the way, if you are not technically skilled, free 24/7 lifetime support will help you with any issue. We hope you can’t wait to view all the templates we prepared for you. View their demos, study their features and maybe you’ll find your future website among them. 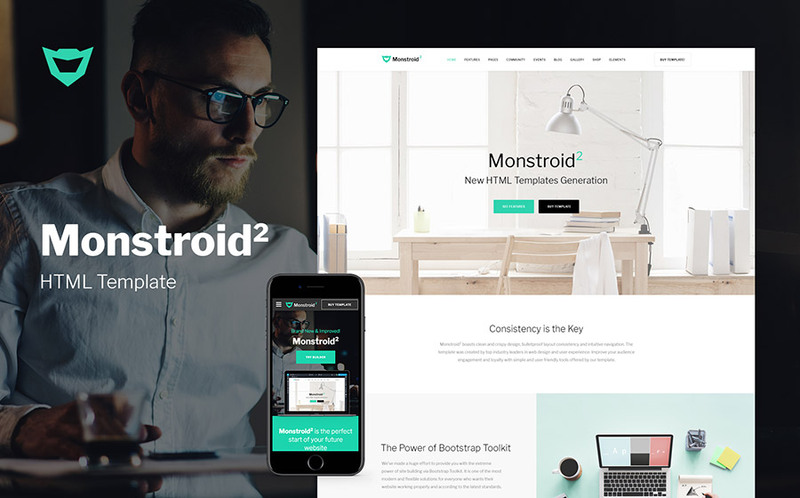 Monstroid2 is a multi-purpose responsive website template packed full of cool features. Please note that you also get the most caring online support anytime and anywhere. 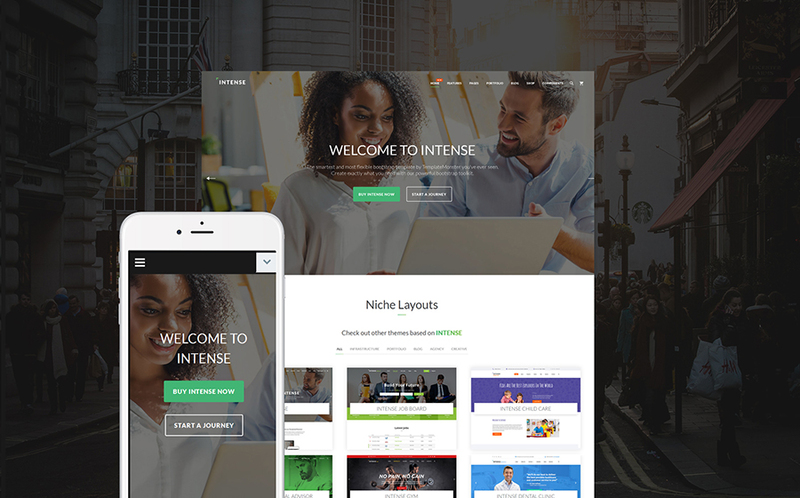 Intense is a multi-purpose responsive website template that comes loaded with everything needed for launching or upgrading your blog, portfolio, business website, corporate web page or an online shop. It has a trendy flexible and dynamic layout so that you can tweak it any way that will perfectly match your brand identity. 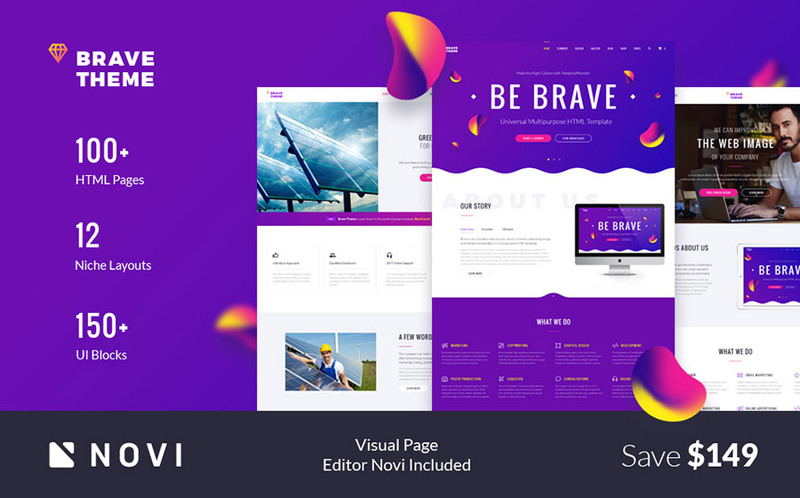 Brave theme is a multipurpose responsive HTML website template with an optional Visual Page Editor – Novi aboard. Its design can be called content driven with over 150 UI blocks that showcase detailed developers’ approach. This multipage HTML template is delivered with a huge set of UI elements and blocks. It also includes over 30 ready-made HTML5 pages. The theme is suitable for a wedding invitation, a couple event, and wedding celebration. So, it comes with the good color selection – 5 predefined colors. This is a multipage HTML template coming with a huge set of UI elements and blocks. It also contains over 35 ready-made HTML5 pages as well. The theme is equipped with a stick-to-top menu. This keeps the main navigation menu right before the users’ eyes all the time, so they don’t need to go back all the way to get to another page. The theme comes with a slider, which is a great thing in terms of presenting important information. Additionally, you can place your custom slides with promos, new products, or any other things you need to highlight. This bridal shop is designed in tender colors that combine snow white and light pink accents. Moreover, this color palette is classical for bridal stores and easy for the viewers’ eyes. 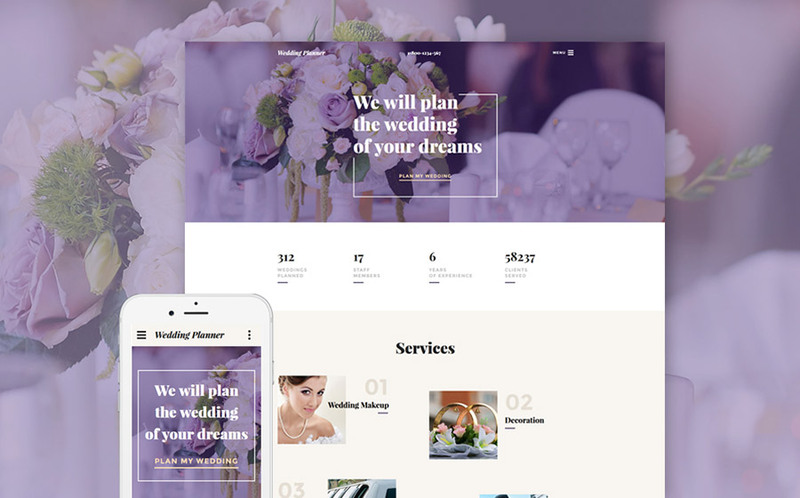 Wedding Venues Website Template is a good fit for wedding agencies, photography and personal wedding pages. 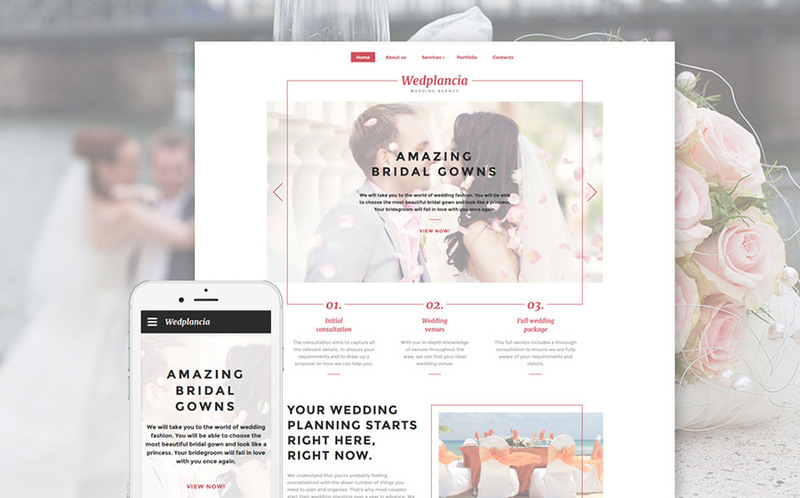 In ddition, its color scheme features tiffany blue combined with pure white, which is ideal for wedding-related sites. 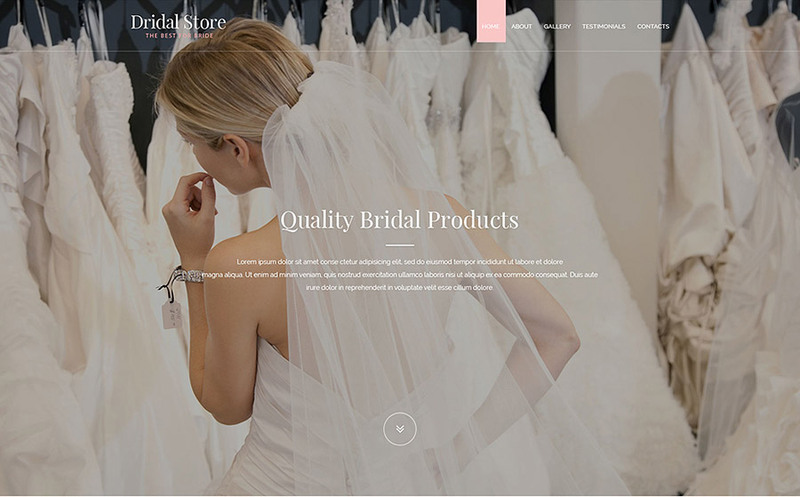 It looks like you have just browsed 10 best Wedding Website Templates. After all, we hope you liked our collection. Did you find anything worthy of your business? Which template seems to you the best fit for it and why do you think so? Which features affected your decision the most? We are waiting for your thoughts/suggestions/whatever in the comments section.